Drinking water in Johannesburg and Tshwane is polluted with microplastics, a new study has found. 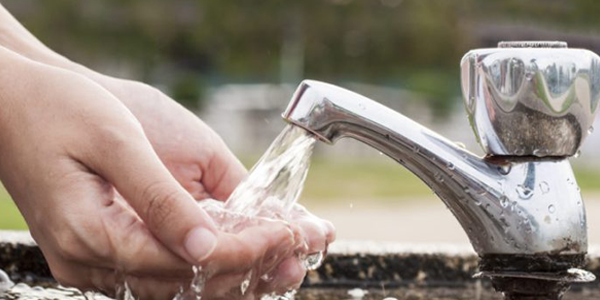 Substantial amounts of microplastics — bits of plastics less that 5mm in size — were found in the tap water in both cities, as well as in rivers in Gauteng and in borehole water in the North West province. But while the people of Johannesburg and Tshwane have been drinking microplastics in their tap water, the health effects are unknown. The study — one of the first to assess the level of microplastic pollution in South Africa’s freshwater rather than in its marine environment — was commissioned by the Water Research Commission and carried out by researchers at North-West University. Professor Henk Bouwman, one of the researchers, said while humans and animals had evolved to deal with particle pollution entering our bodies over millions of years, plastic particles were new in our lives. They tested river water from 43 sites in the Vaal, Mooi and Wasgoedspruit Rivers in Gauteng and the North West province, all of which contained microplastics. Groundwater, tested from four boreholes in Potchefstroom, also contained microplastics but in far lower quantities than the river water. While there has been a huge amount of research globally on microplastic pollution in the oceans, very little has been done on microplastics in freshwater. One of the concerns is what toxic chemicals may be entering the body with microplastics. Bouwman said a characteristic of plastic was that toxic pollutants became trapped on the outside and inside plastic particles. “Pollutants stick on the outside of the plastic and are absorbed by plastic, especially the hydrophobic chemicals — those that don’t like water — like DDT. DDT — made famous by Rachel Carson’s book Silent Spring in the 1960s — is a pesticide that is taken up in the food chain and is toxic to a wide range of organisms. It has been banned for agricultural use, but the Stockholm Convention allows restricted use for malaria control, including in South Africa. Microplastics come from two primary sources: plastic pellets used as a raw material by the plastics industry, and microbeads used in the cosmetic industry in exfoliants and some toothpaste. Secondary sources are the billions of bits of plastic broken off from larger plastic objects that have become degraded. The study said because freshwater was “one of the pillar resources of an economy and a primary human need”, threats to freshwater should be assessed — including threats to human health. Because of the lack of research on the impact of microplastics in freshwater, the study could not make recommendations about the risk this posed in South Africa. “It can safely be assumed that microplastics will be present elsewhere in freshwaters in South Africa. Surveys should therefore be undertaken countrywide to obtain a picture of pollution, and to establish a baseline against which to measure concentration trends,” the study recommended.